A barman from the 'Maid in Splendour' pub is shot dead as he walks near a ruined cottage in the woods. 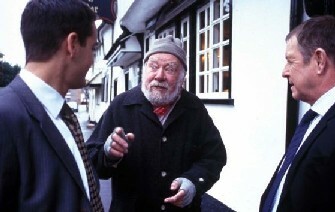 Barnaby and Scott discover a clash of cultures at the pub, between locals and new money, and between charming old landlord Michael Bannerman (William Gaunt) and his bullish son Stephen. But when Stephen, too, is murdered, past passions become as important as current enemies.